Hall of the Mountain King: Review: Stoney LaRue, "Velvet"
When I reached into the envelope from B Side Music Group and felt something fuzzy, I wasn’t sure what, exactly, was going on. 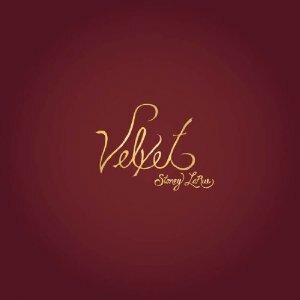 It soon became clear, though, as I pulled out the latest record from Oklahoma Red Dirt artist Stoney LaRue, titled Velvet. Appropriately, the CD cover is covered in red velvet. As, seemingly, one of the few remaining fans of the physical product out there, I appreciate it when a little effort is put into it, even if it’s something small. As a fan of country music that comes from the heart rather than a Music Row executive suite, I can also appreciate what’s contained on the album. LaRue’s work is a blending of traditional country sounds, a little Americana, some folk and bluegrass here and there, and even some rock ‘n’ roll sizzle. The Red Dirt movement has always been a little difficult to define, and Velvet offers up a little bit of everything that goes into the genre. 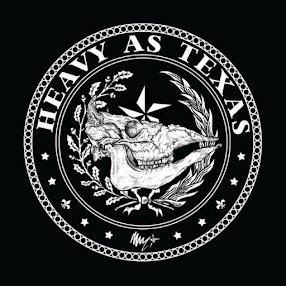 I was quite enjoying the record through the first four tracks, with the Southern rock grit of “Wiregrass” making the biggest impression. Then I hit the fifth track, “Sharecropper.” I stopped what I was doing, cranked it up and just enjoyed. Among the already fairly diverse offerings on Velvet, “Sharecropper” is a different beast altogether. It opens with a toe-tapping drum beat, and the bass and guitar give it a really funky feel on what had previously been a sort of down-tempo record. It’s a bit like a release of tension after a slow build-up. LaRue’s country/Southern rock vocals have the perfect attitude to match the music, and the harmonica is scorching hot. The song ends up in some sort of bizarro world cross between Steve Earle’s more uptempo numbers and Aerosmith’s bluesier efforts, and to be honest, it took me a little while to get back to the rest of the record as I listened to it over and over. A close second is the song that follows it up, “Sirens.” It’s an uptempo country rocker with shades of Hank Jr. and Charlie Daniels, but with instrumentation that leans just a little more toward the folk end of the spectrum early on and then breaks down into an all-out rocker with some blazing electric guitar licks toward the end. It’s another melody that I’ve found difficult to get out of my head. Bass player Glenn Worf makes “Te Amo Mas Que La Vida” work, laying down a driving bass for the song that brings a bit of a Mexican influence in for the first time, incorporating some accordion into the sound. That influence continues on “Has Been,” with some drum beats that mimic flamenco sounds. From the first half of the record, “Wiregrass” is the best offering. Early on, the melody reminds me a little bit of Marshall Tucker’s “Can’t You See,” but then it gets just a little bit rowdier for the chorus, moving into more of a Skynyrd mode. I also believe I’m hearing a flute on this, which furthers the connection to the Marshall Tucker Band tune. “Look at Me Fly” mingles influences from traditional, rock and country with a great melody, and the Earle influence comes out again on “Travelin’ Kind,” primarily in LaRue’s vocal delivery. He also gets a little vocal help from Lee Ann Womack on the track. Larue’s voice is the bedrock of the record. It’s not too country, it’s not too rock, and unlike many folks trying to do Southern rock these days, he never takes it over the top. His delivery is generally laid back and quiet, and that’s where the gravity in the songs springs from. With Velvet, LaRue finds himself where so many of the Red Dirt artists do — a little too rock for country, a little too country for rock and a bit too original for the mainstream of either genre. For me, though, the mix is just right. Review: "Southern Independents Vol. 1 and 2"
Still Spinning: Alice Cooper, "Brutal Planet"
Stuck in My Head: Warrant, "Uncle Tom's Cabin"